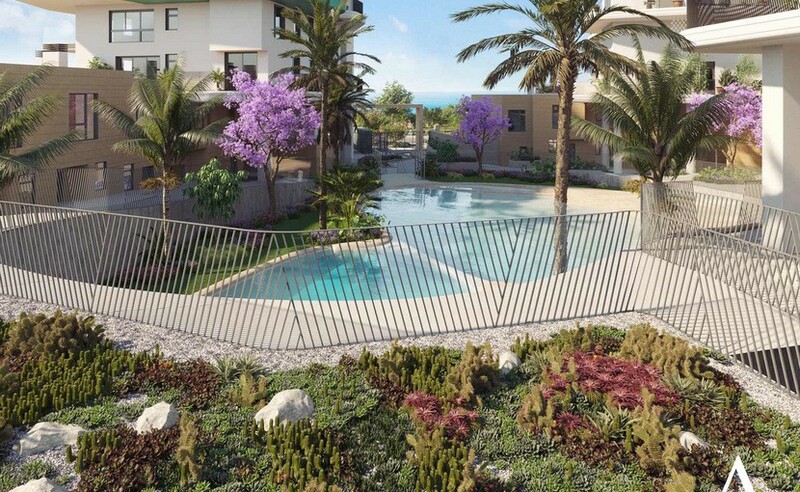 Front line gated complex with sea views. 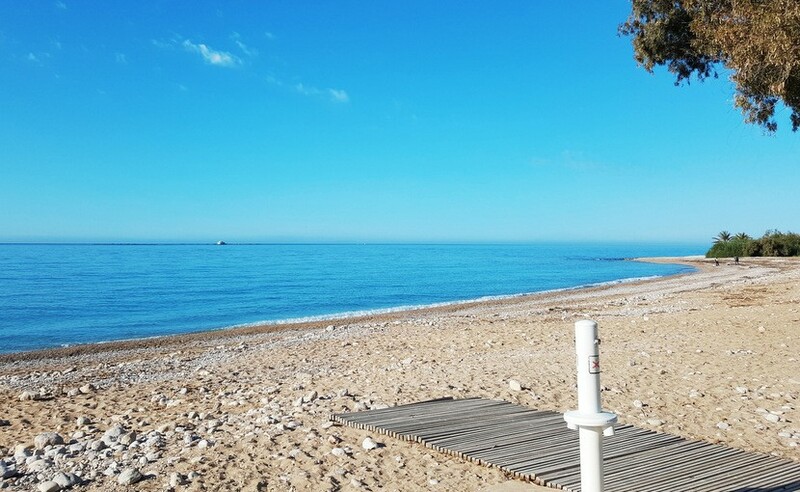 Private access to Playa del Torres beach. 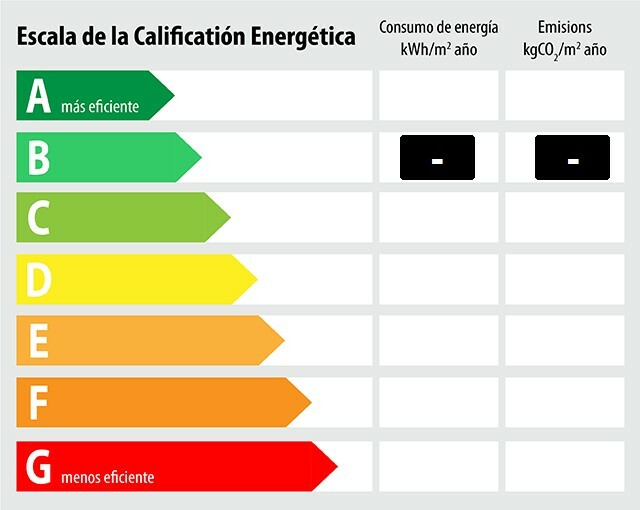 Full installed hot and cold air-conditioning. Large terraces with different orientations. 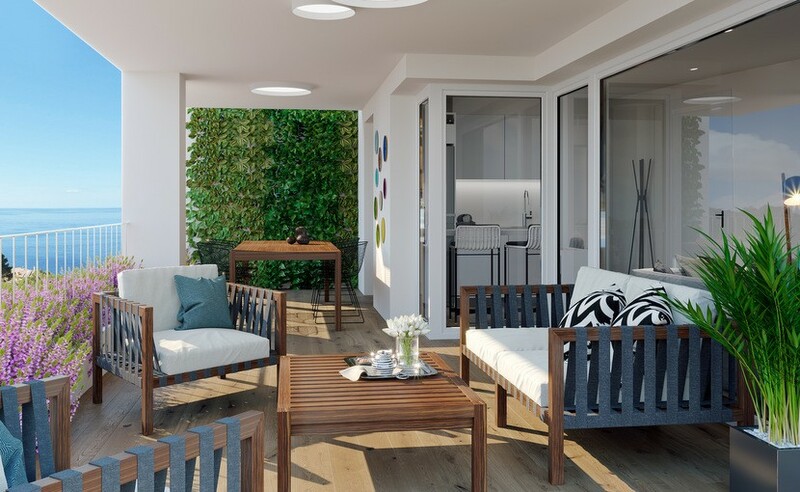 Elegant design with green spaces. 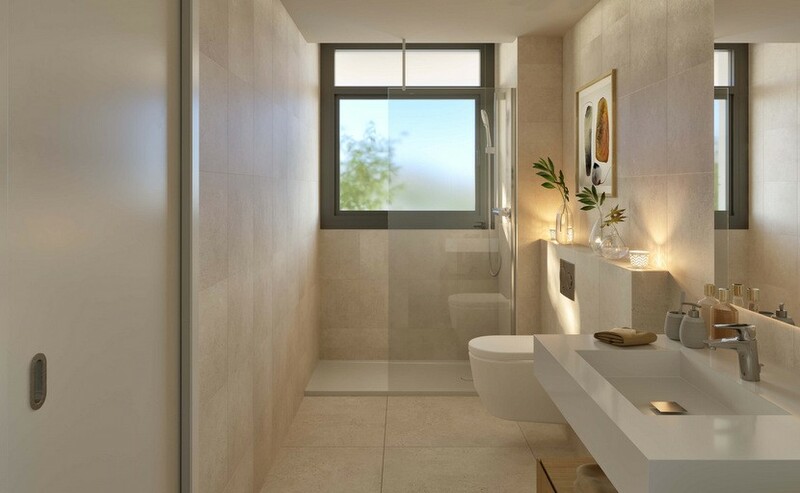 These 2 bedroom, 2 bathroom apartments are to be built in the beautiful of Playa del Torres in the area of Villajoyosa with direct access to the beach. 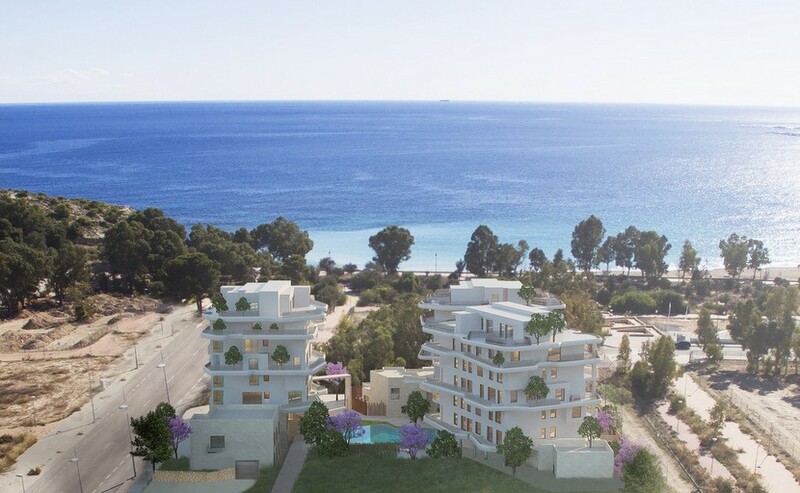 Only 100m from the sea, the complex is situated just a 3 minute drive to Villajoyosa town and a 4 minute drive Benidorm. 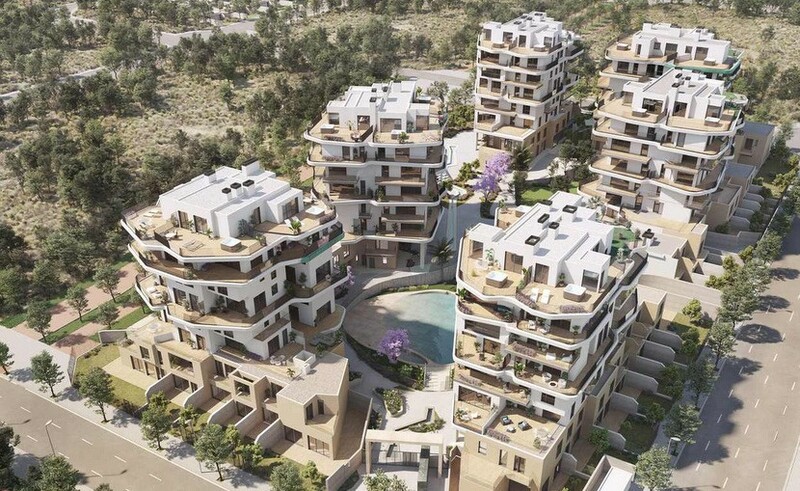 They will be built into elegant white tower blocks with a maximum of 6 floors with spacious green areas in between. 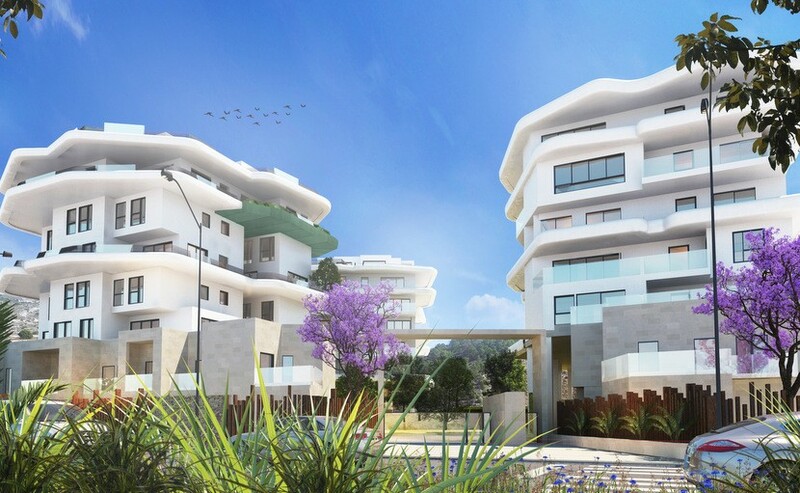 Allon Bay is an enclosed private residencial complex with a total of 71 homes. 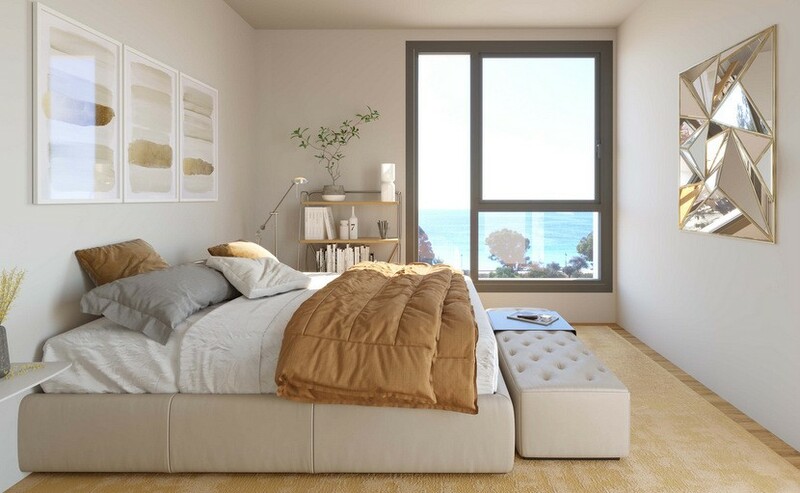 There are various apartments to choose from with different sea views, terrace sizes and levels. 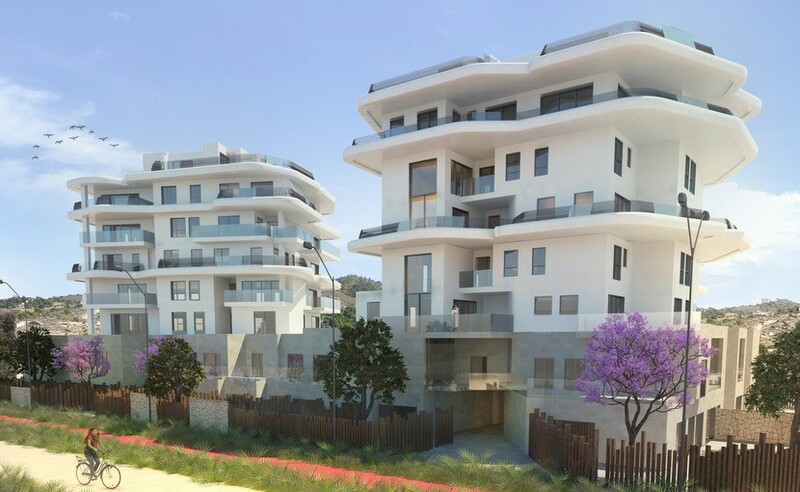 Prices for a 2 bedroom apartment start from €235,000. 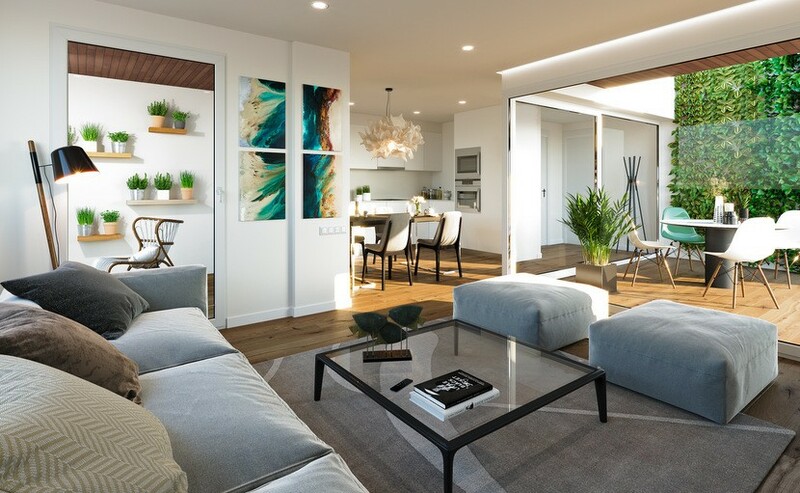 They all come with an open plan living/dining and kitchen, a master bedroom with en-suite shower room, a separate double bedroom and a separate shower room. The terraces are large and spacious. 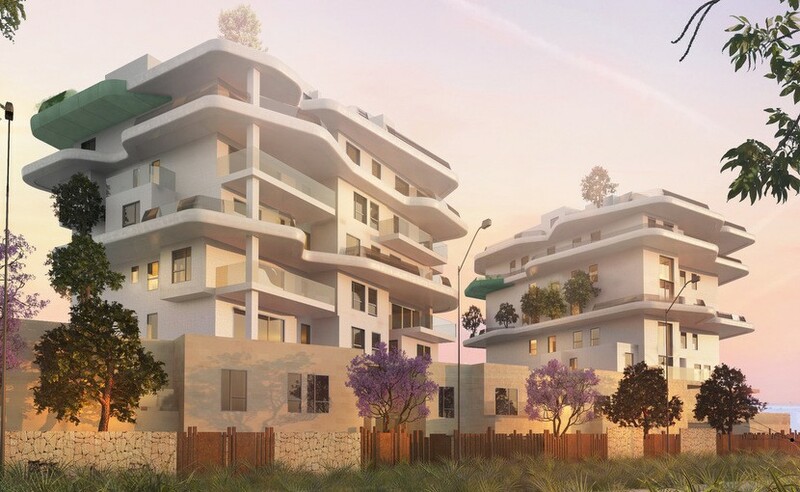 There are apartments, duplexes and penthouses to choose from. Please contact us for the latest availability. The kitchens come fully equipped with ceramic hob, extractor fan, oven and microwave. The properties all come with full installed hot and cold air conditioning. 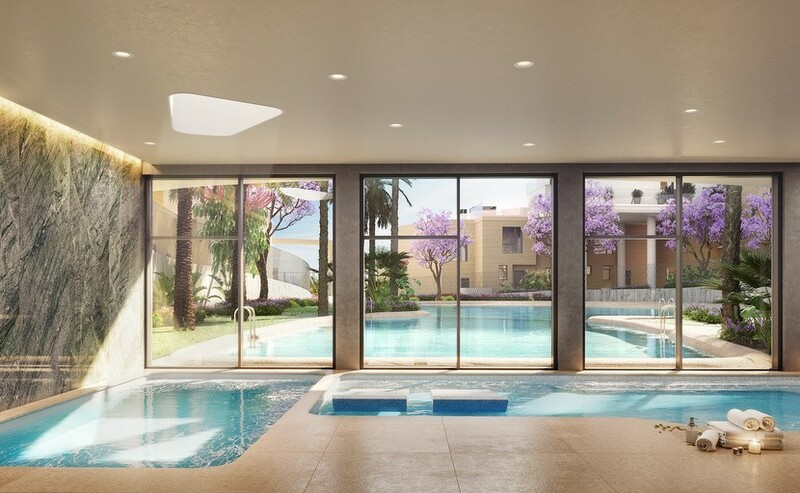 The complex benefits from having a communal pool area and lifts to all levels. There is maximum security here with video surveillance system. 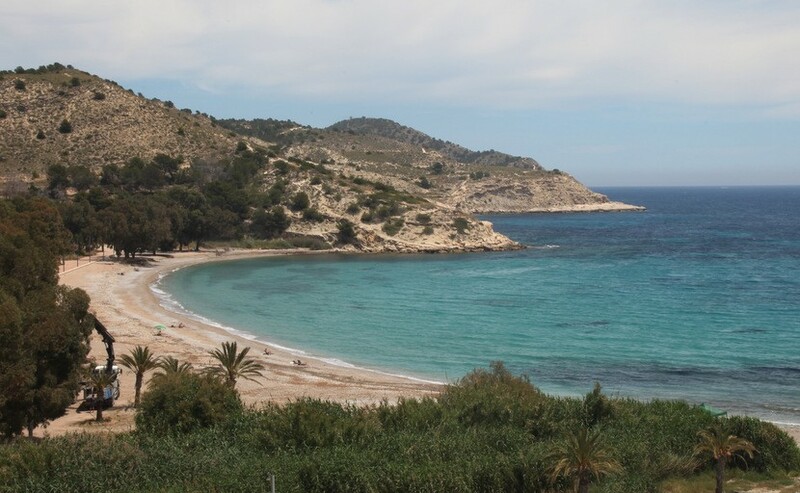 There is a pedestrian walkway around the coves between Villajoyosa and Finestrat with spectacular views. Villajoyosa is a pretty town known for its colourful beach houses and vibrant town with plenty of restaurants to choose from. 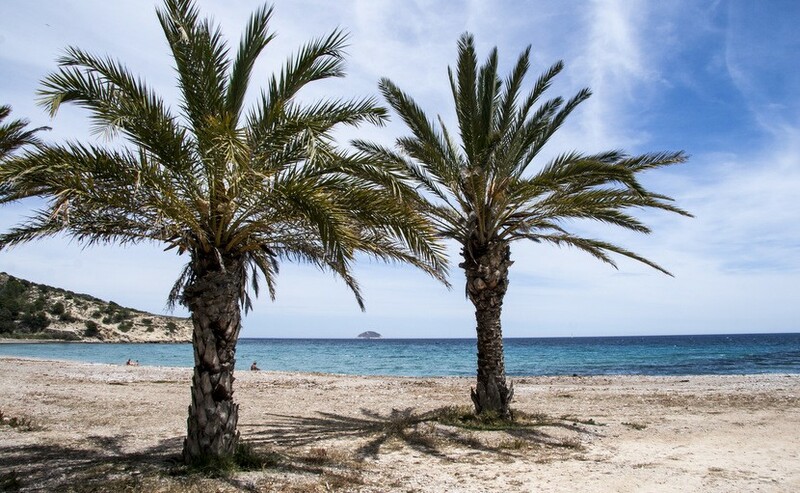 Benidorm also have a very large host of services and facilites. 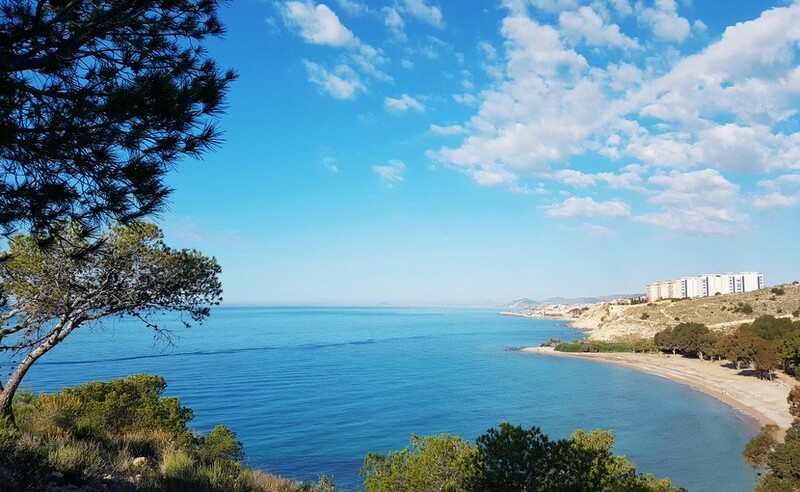 Alicante airport is only a 30 minute drive away.